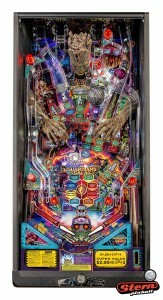 Pinball Heaven is delighted to announce it is now taking orders for the Munsters Pinball Machine Pro Edition. To view the Munsters Pinball Machine Pro Edition in our online shop click here. 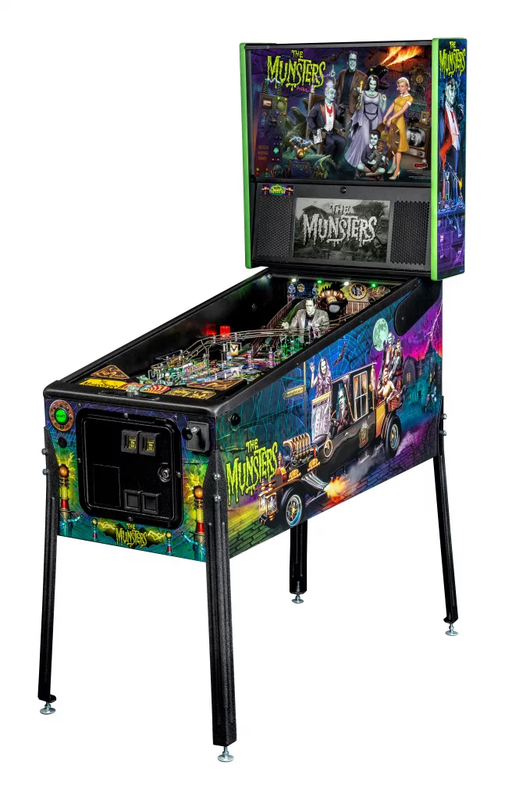 Stern’s Munsters Pro Edition Pinball Machine features stunning and distinctive hand-drawn art with the cabinet, backbox and translite all featuring highly colourful depictions of the Munster family. The game features a custom sculpted Herman bash toy with magnetized ball catch, highlighting Herman multiball. In addition, the Pro Edition includes a pop-up spot bash toy hidden under the left ramp, a custom sculpted Drag-U-La toy car featured near a left shooter lane kicker, as well as a metal turn-around, flip-up ramp. 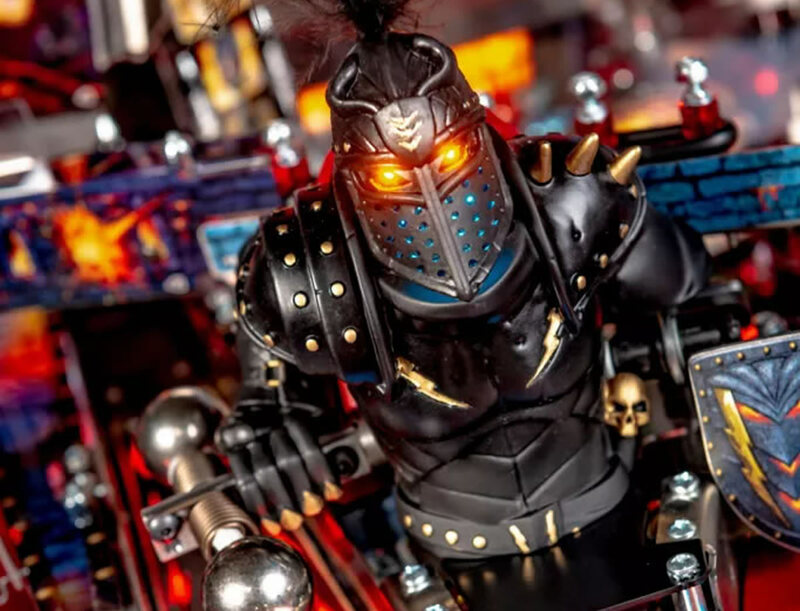 With the launch of the Stern Munsters Pinball Machine Pro Edition having been eagerly awaited, demand for this pinball machine is set to be high. To make an enquiry about the Munsters Pinball Machine Pro Edition, please contact Pinball Heaven today. 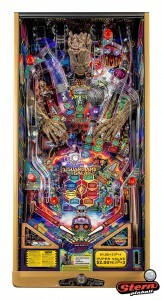 The eagerly awaited Munsters Pinball Machine, based on the 1960s monster sitcom, was launched by Stern earler today. Available in Pro, Premium and Limited Edition versions, the Munsters Pinball Machine will be available in the UK from Pinball Heaven soon. To find out more about the new Munsters Pinball Machine please contact us via our enquiry form. To view the Munsters Pinball Machine Pro, Premium and Limited Edition version features, download the Stern Munsters Features Matrix. The Premium and Limited Edition models both feature Grandpa’s laboratory, a lower playfield that features 2 mini flippers, 2 ramps, a Grandpa bash target, a digital number display, and a multi-ball feature. The Premium model features an exclusive black and white custom art package in homage to classic black and white TV. To enquire about the new Munsters Pinball Machine please contact us. We look forward to hearing from you. 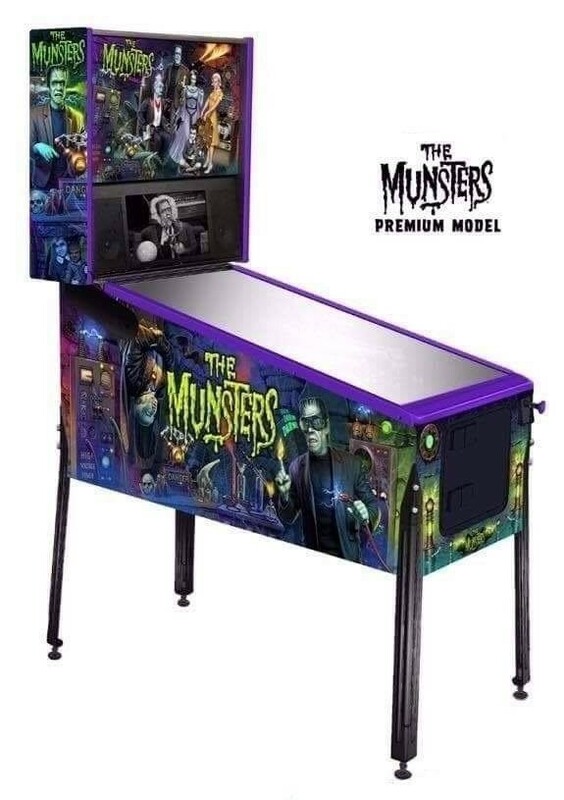 Following widespread rumours that Stern Pinball are set to launch their new Munsters inball machine, Pinball Heaven is delighted to announce it will have the eagerly awaited Munsters pinball machine for sale in the UK as soon as it becomes available. No release date has been announced yet for Stern’s new Munsters table. However, speculation surrounding the Texas Pinball Festival official announcement that Butch Patrick, aka “Eddie Munster” and Pat Priest, aka “Marilyn Munster”, will be appearing at TPF2019 for the entire weekend, suggests the release date will certainly be prior to March 22nd 2019. Indeed, Dennis and Tony from KCGameKon Podcast consider the release will be announced anytime up to the opening few weeks of 2019, depending on Stern’s current orders for their Deadpool and popular back catalogue tables. 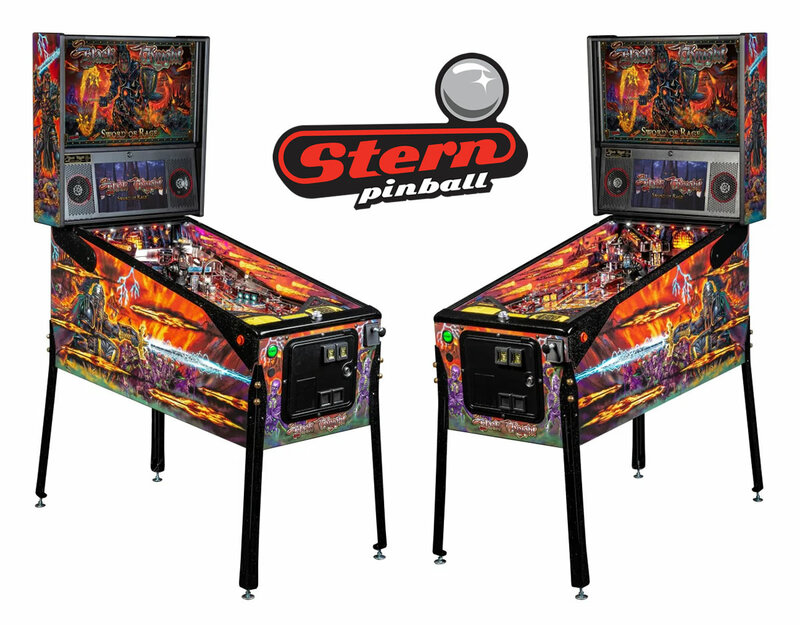 Once released, Pinball Heaven will be offering the Stern Munsters Pinball Machines in Pro, Premium and Limited Edition models for sale throughout the UK. 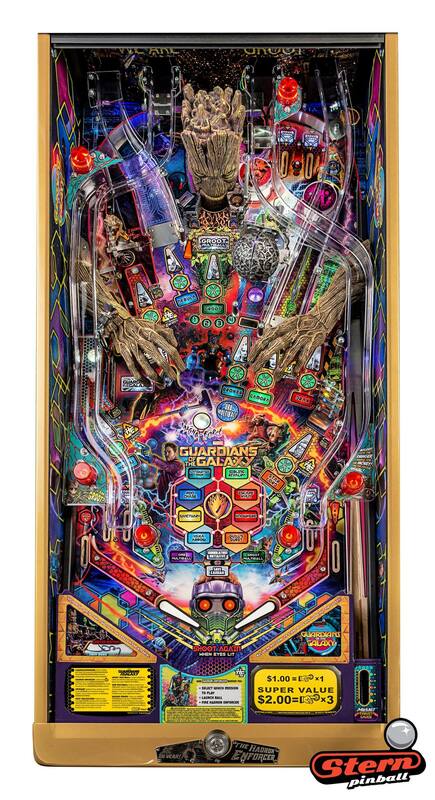 Pinball Heaven will also be offering our exclusive two-year warranty on all three variants of Stern Munsters Pinball Machines. Please ask us for more details. Updated 8th January – its OFFICIAL! If you are interested in being one of the first to purchase the new Stern Munsters Pinball Machine, feel free to call Pinball Heaven on 01772 816677 or email us. 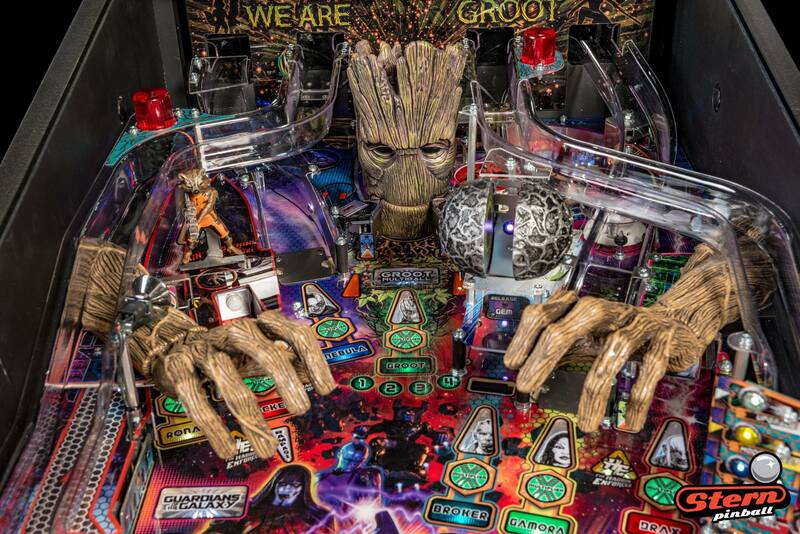 Set to arrive late 2018 we have secured exclusive rights to distribute this cool new pinball machine into our ever growing UK customer base. The first sample game will be at Tilt in Birmingham from Summer 2018 and these will be very competitively priced. 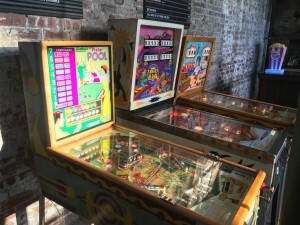 Thunderbirds Pinball by Homepin immerses players in all the action of the International Rescue Team, featuring authentic character voices and original music. 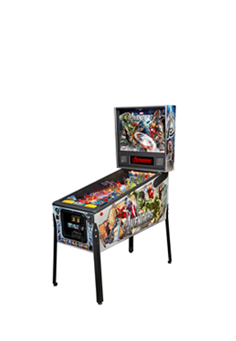 Officially licensed Thunderbirds Pinball translite art featuring animated EL panels on the backbox sides to enhance the playing experience. Thunderbirds is a British science-fiction television series created by Gerry and Sylvia Anderson, filmed by their production company AP Films (APF) and distributed by ITC Entertainment. It was produced between 1964 and 1966 using a form of electronic marionette puppetry combined with scale model special effects sequences. Set between 2065 and 2067, Thunderbirds follows the exploits of the Tracy family, headed by American ex-astronaut turned multi-millionaire philanthropist Jeff Tracy. He is a widower with five adult sons: Scott, John, Virgil, Gordon and Alan.The Tracys form International Rescue, a secret organisation dedicated to saving human life. They are aided in this mission by Thunderbird 1: a hypersonic rocket plane, Thunderbird 2: a supersonic carrier aircraft, Thunderbird 3: a single-stage-to-orbit spacecraft, Thunderbird 4: a utility submersible and Thunderbird 5: a space station; each of which are called into service when conventional rescue techniques prove ineffective. If you want to buy a Thunderbirds pinball machine or for more information just click here! 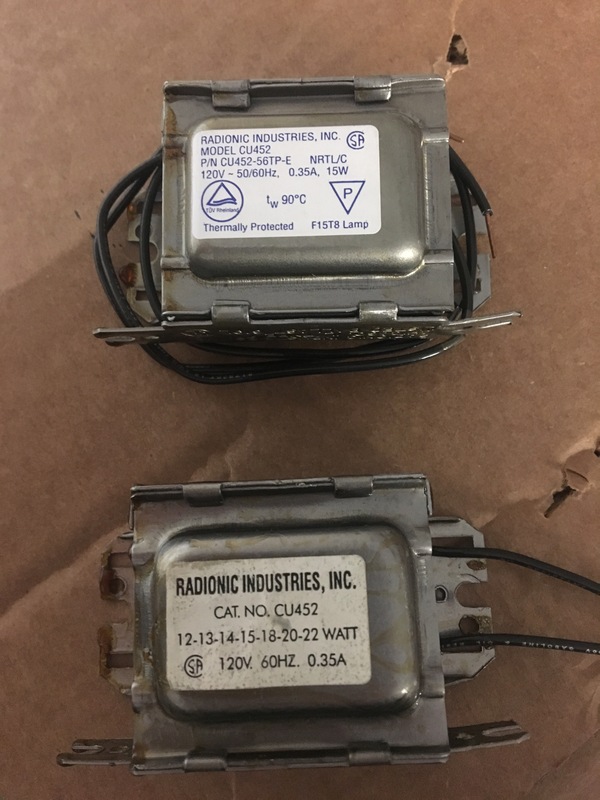 Converting a Stern Pinball machine from USA 110v 60hz to EU 230v 50hz. If you have a USA specification Stern pinball machine (SAM system pre Family Guy) then its quite easy to convert it to UK/EU specification. 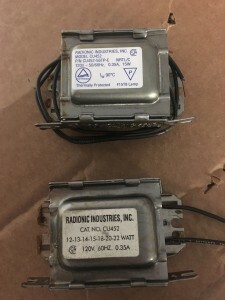 The first step would be to change the power cord to standard EU/UK colours, when fitting the cord to the line filter box you will need to change the varistor, you can use the one we stock here, then you need to swap the jumper wires on the transformer plug (the manual will show you exactly which pins need swapping), this is extremely difficult without the correct Molex pin extractor and you may be best cutting the wires and joining the new wires (cut 4 wires, rejoin 2, leave 2 unconnected). Then for all games pre Family Guy, thats pretty much it. However, games Family Guy onwards Stern decided to stop the parallel importing of games which was becoming a problem for them they would install a frequency checker into the software so a 60hz game would only work on 60hz line frequency. If not you get this message – “THIS MACHINE WONT OPERATE IN THIS COUNTRY. PLEASE CONTACT YOUR DISTRIBUTOR“. So, you can ask Stern to unlock the CPU and send them the board or you can install a 50hz modification board which tricks the CPU to thinking it is getting the correct frequency. For the newer SPIKE system, its completely different and the above modification board is not suitable. We know people are working on cracking this 50/60hz problem, just because they can. But the easiest thing to do is just to buy a Stern Pinball Machine from the correct region, if you import a USA game into the UK then it wont be CE certified. Stern Pinball today announced their latest game – Guardians of the Galaxy pinball machine, which is available in Pro/Premium/Limited Edition versions. The Guardians of the Galaxy are a fictional intergalactic superhero team based on the successful American comic book series published by Marvel Comics. 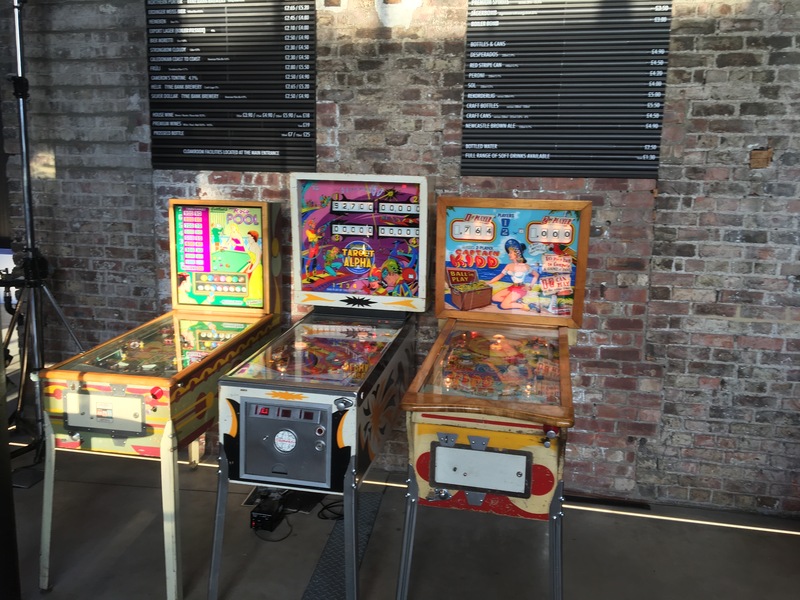 Pinball Machine Hire for Retro Event in Newcastle. 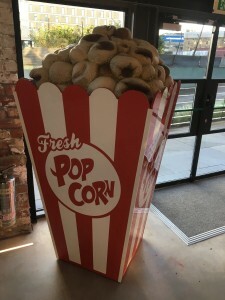 When throwing a 1950’s American style party you really need some vintage pinball machines oh, and some larger than life popcorn displays! As part of our pinball machine hire we were asked if we could supply some vintage pinball machines for a 1950’s themed party, normally we only supply our vintage pinball machines for TV or promotional use as older pinball machines aren’t quite as hardy as modern games but as we had a couple of solid games which we have used for pinball shows without any problems so we agreed and this was the result… a night of fun for the lucky guests. We used our vintage 1958 Roto Pool, 1976 Target Alpha (a really good game) and a 1960 Captain Kidd which was the last game by Gottlieb pinball machine to have wooden rails. The Roto Pool was recently the star of a ITV show with David Dickinson. This is the biggest popcorn we’ve ever seen! At Pinball Heaven we love retro pinball machines (well Gottlieb ones), something about the artwork just oozes nostalgia. 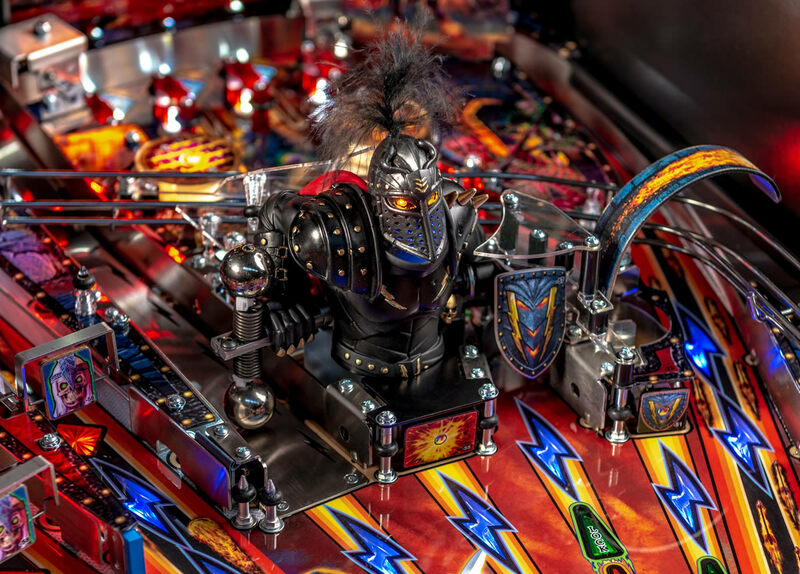 We offer pinball machine hire in Lancashire, Manchester, Cheshire, Leeds, Cumbria, Yorkshire and the Midlands, occasionally we go further past Birmingham but please get in touch to discuss your pinball hire requirements. 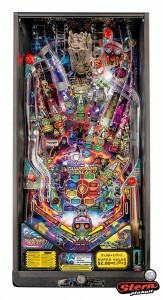 Stern Star Wars pinball machine for sale soon? 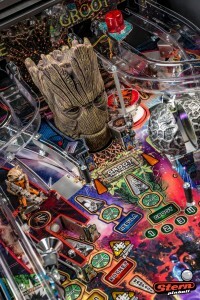 If internet rumours are to be believed, then legendary designer Steve Richie (famous for such hit games at Terminator 2, Getaway, Stern Star Trek, ACDC, Game of Thrones etc) has been working on a Stern Star Wars pinball machine for at least 2 years since Game of Thrones and its sure to be another winner for Stern Pinball. 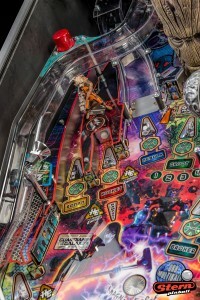 Its been suspected for a few years that Stern or Jersey Jack Pinball would secure the licence for the Star Wars licence and make a new pinball machine but when Stern showed up on the exhibitor list at Star Wars Celebration expo in Orlando the rumours really exploded and it seemed there was no doubt they would release a new Star Wars pinball machine! Details are vague right now but we understand that as usual there will be a Star Wars Pro, Star Wars Premium and Star Wars Limited Edition pinball machines for sale shortly. 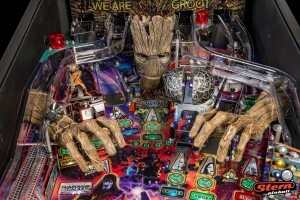 Stern are very hard to get information out and typically only show a pinball machine when its ready to be built so the time of announcement to the time of shipping is typically only 1 month. 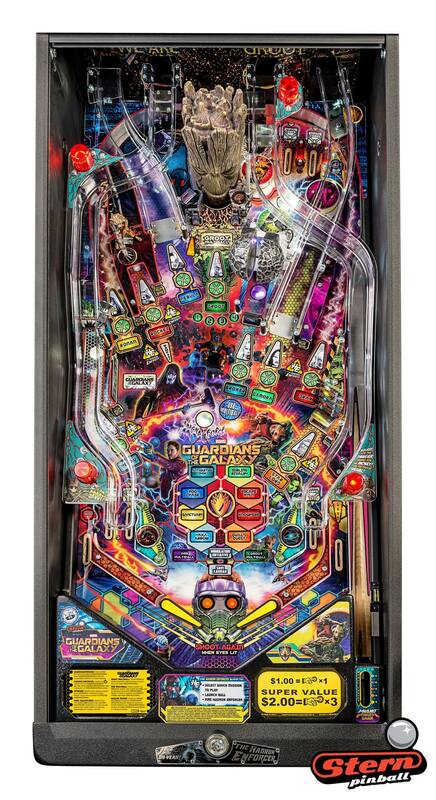 We understand its going to be based on the original 1977 movie rather than any sequels and it will feature the new LCD backbox monitor as seen in Stern Aerosmith pinball machine (which we still love! ), the addition of the LCD display adds much more visual impact to the game and will attract passers by who are intrigued by what is happening. 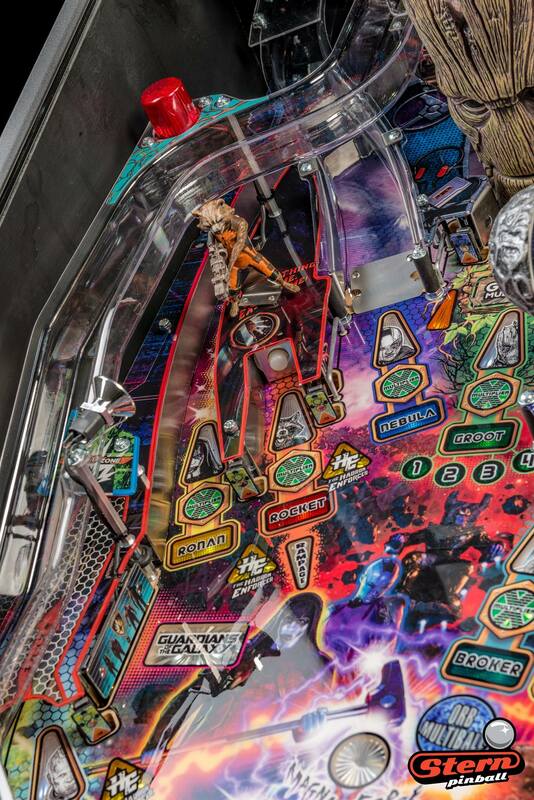 We expect to have a Stern Star Wars pinball machine on our stand at the Play Expo show in Manchester in October! Chicago Gaming announce Attack from Mars pinball machine for sale into the UK through sole distributors Pinball Heaven Ltd.
After the resounding success of Medieval Madness pinball machine released by Chicago Gaming last year, they follow it up with another Williams classic pinball machine – the 1995 hit Attack from Mars. All new technology, a HD full colour LCD display and a plethora of added features is sure to make the new AFMr an instant success in the UK market. Three versions are available, we start with the “Classic” which is a remake of the original Williams pinball machine, without any enhancements added, this entry level Attack from Mars pinball machine is manufactured with operators in mind (people who put pinball machines in commercial venues for pinball hire or revenue split etc), then we have the “Special” edition which features a new larger display amongst numerous extra add-ons. Then the top of the range model with new animated topper is the Attack from Mars LE (limited edition – 500 units Worldwide) pinball machine. We can’t wait to get our hands on them but to secure your limited edition Attack from Mars it is essential that you order early as our allowance is strictly limited. 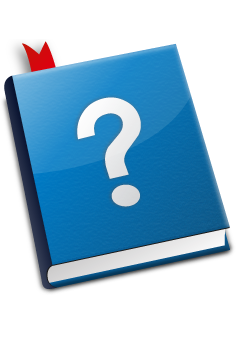 – Classic Edition: Faithful to the original. Standard sized LCD Green Display, can be upgraded to Color Display for additional fee. All LED lighting throughout machine. Enhanced sound system. Stainless steel cabinet trim. – Special Edition: Extra Large LCD Color Display, Metallic Saucers, Tri-color LED on main saucer, stainless steel cabinet trim. Multicolored backbox speakers. Shaker Motor included. Extra Large LCD Color Display, Metallic Saucers, Tri-color LEDs on all saucers, Martian Green cabinet trim. Cabinet mirror blades. Multicolored backbox speakers. Shaker Motor included. Custom designed Interactive mechanical Martian topper designed by Doug Watson. Martian moves up and down. His eyes light up and multicolored Leds around topper.